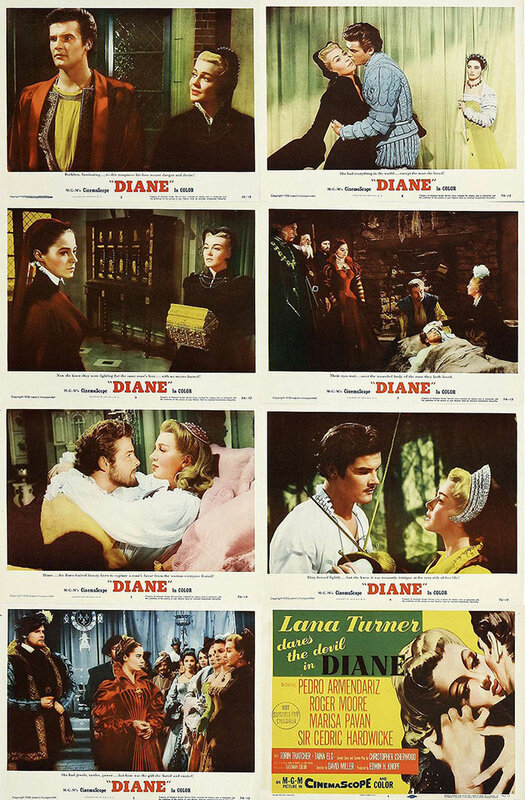 US lobby cards set for DIANE. A typically MGM lobby cards set, including 'title card'. Excellent set beautifully showcasing the actors. Unfortunately it's an MGM set which means weird colors and cheap printing. Above average nonetheless. Good film!